Two spruces that I built for a larger build that I’m working on for a competition. I rather liked how they turned out so I built a little base for them and took some nicer photos. 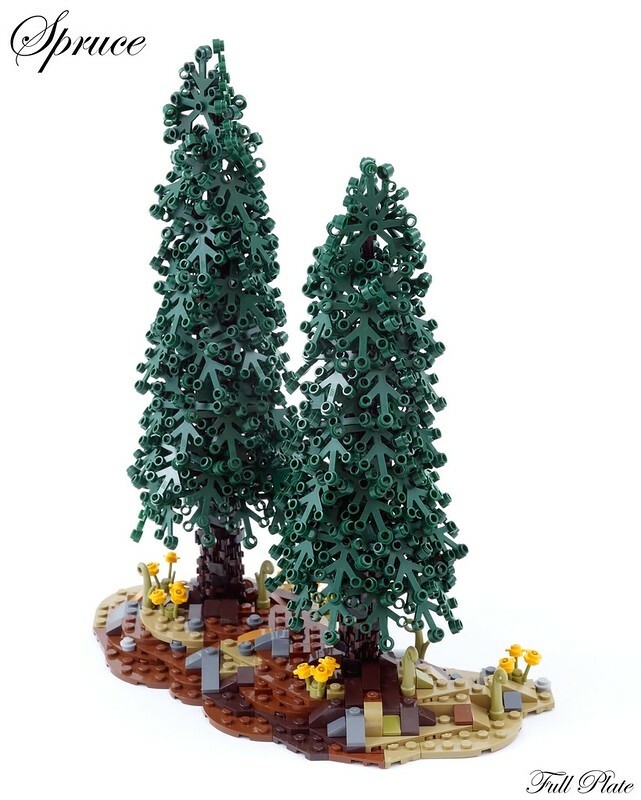 The trunk is made with the same technique used for many of my minifig scale trees – the axe tree technique. The branches are essentially layers of weaved large leaf elements. I have used different scaling for the two trees, generating different shapes. The shorter one is a bit thicker and tapers off more in a more linear fashion, while the taller one has more irregular shape. As a standalone tree I like the shorter one better, but when you have more than one tree it’s nice to be able to vary the shape for a more natural look. February 6, 2018 in Competition, Contest, Landscape.